Throughout the predominantly Hindu country of India, a folk art has been practiced for many centuries. 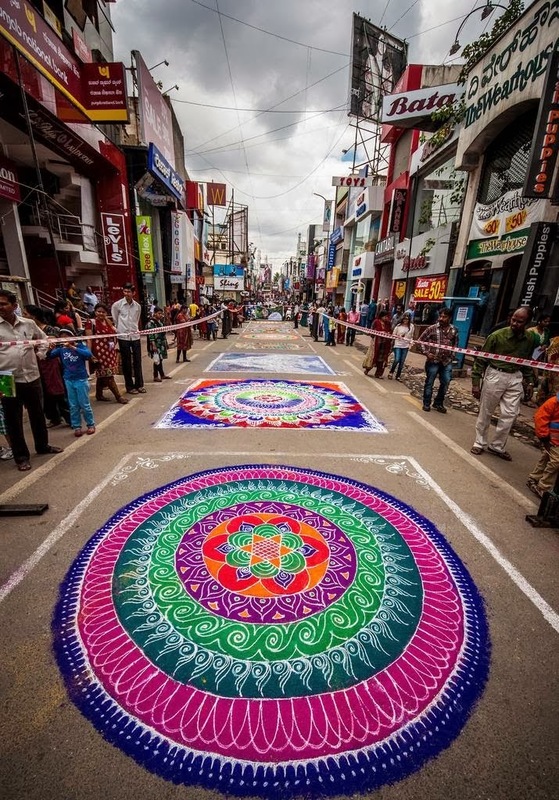 Known varyingly as Kolam, Muggu and Mandana (among other names in this huge and diverse nation), the art of Rangoli is created using dyed rice or sand, flour and the petals of flowers. It signifies a sacred welcoming zone for Hindu deities. It can be quite a welcome.